Sixty bodies lie in a heap on the floor of a morgue that receives the corpses of children under 10 and as young as 2. 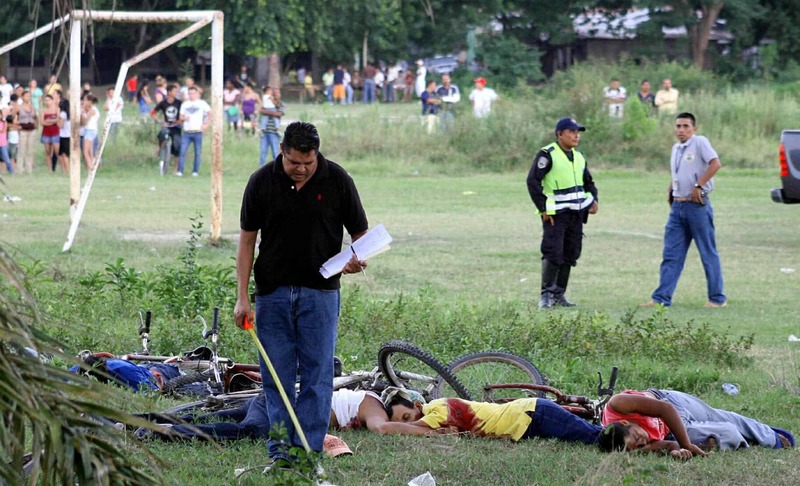 It’s the body count for just one day, in San Pedro Sula, Honduras. How can we in good conscience send children back there? We just did. The first planeload of mothers and children has returned to San Pedro Sula — the most violent city in the world, in the most violent country in the world. 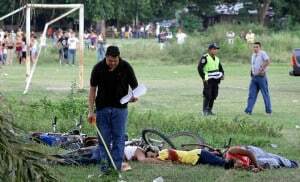 The murder rate in Honduras is the highest of any country in the world, at 90.4 per 100,000 people. In San Pedro Sula, the murder rate is 169 per 100,000 people – nine times the murder rate of Chicago. Every day, more children are among the dead. In Honduras’ second largest city, San Pedro Sula, police investigate a shooting October 30 in which at least 14 people were found dead. Gangs now rule 40 percent of Honduras. Where they are in control, gangs extort “war taxes” from families and businesses. Residents must either pay, get out, or be killed. In many neighborhoods, businesses close and whole blocks stand deserted. No one calls the police or government officials for help. The corrupt police force is itself accused of conducting death squads and carrying out political kidnappings. 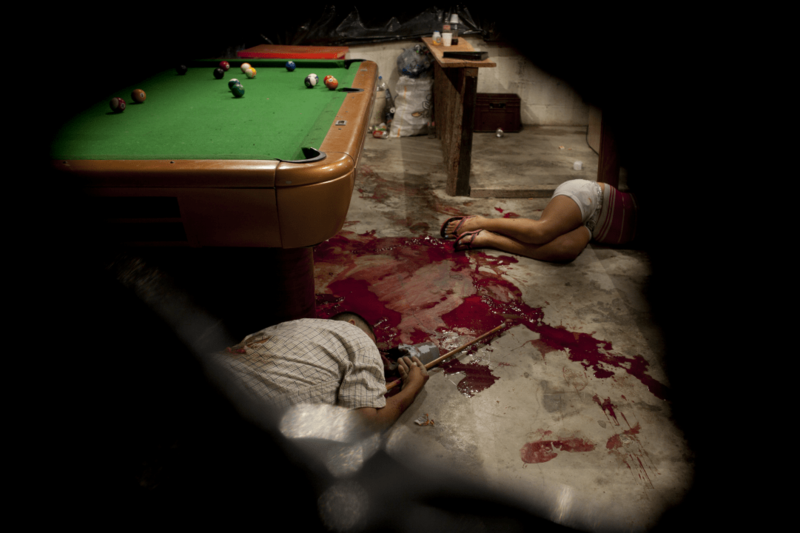 Honduran gangs buy off police, bribe public officials, and rule with impunity. The gangs are the law. Children are extremely vulnerable. Gangs pressure them into service as drug mules or even assassins. Sexual violence is common. Gangs have kidnapped and raped both boys and girls. Their bodies were found within days of each other. Kenneth was tortured and beaten with sticks and rocks. Anthony and a friend were shot in the head. They were among seven children murdered in the neighborhood, in just one month. The family told police that Anthony was a lookout for the local gang, but had decided to quit. The order to kill him came from a Honduran prison. Honduras, home to 28 percent of unaccompanied minors, is an example of how U.S. policy in Central America created the humanitarian crisis on our doorstep. The story is much the same in Guatemala (home to 24 percent) and El Salvador (home to 21 percent). Intervention. American intervention in Honduras goes back to the beginning of the 20th century, when U.S.-owned fruit companies received substantial land and exemptions to develop parts of the country. In the 1980s, the Reagan administration used Honduras as the base for U.S. operations to undermine the democratically elected, leftist governments in El Salvador and Nicaragua. In 2009, the U.S. government supported a coup that ousted left-leaning Honduran President Manuel Zelaya. 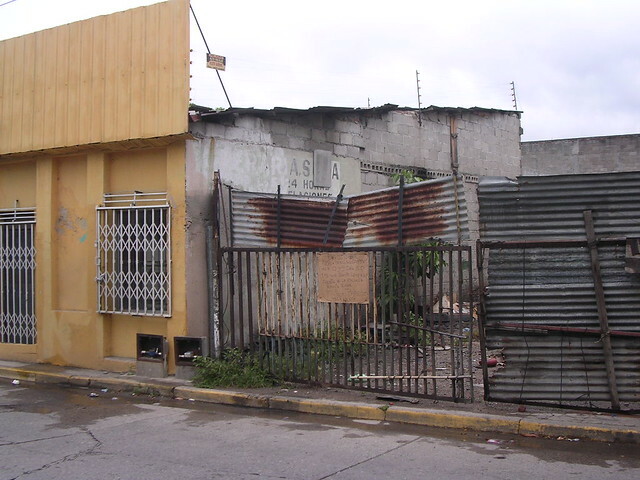 Zelaya’s government increased the minimum wage by 80 percent, reduced poverty by 10 percent through direct government assistance, and provided free electricity to the poorest Hondurans. Trade Deals. What the North American Free Trade Agreement did to Mexico, the Central American Free Trade Act (CAFTA) did to Central America — reduced trade barriers, forced small- and medium-sized farmers to compete with heavily subsidized U.S. agribusiness, and enabled corporations to drive down wages and environmental standards. War on Drugs. Twenty years of America’s “war on drug” drove cartels out of the Caribbean and Mexico and into Honduras, Guatemala, and El Salvador. That completed a “perfect storm” in countries where U.S. government policies had destabilized governments and disrupted economies. The drug trade finances the gangs and fuels most of the violence that causes families to send their children away, and some children to even leave on their own, for the sake of their own survival. What would you do if a child from your neighborhood, fleeing from a home where they are regularly abused and unlikely to survive if they return, knocked on your door right now? What if you bore some responsibility for the conditions that drove them from home and to your door? Would you send them back? This is not an immigration crisis. It is a refugee crisis – and a crisis of conscience. It is not “humanitarian” to send children back to horrific conditions our own government had a hand in creating. It is not compassionate or moral to send children back to unremitting suffering — many to certain death. America cannot simply send these children back and leave them to their fates, and still be the country we so loudly and proudly claim to be.